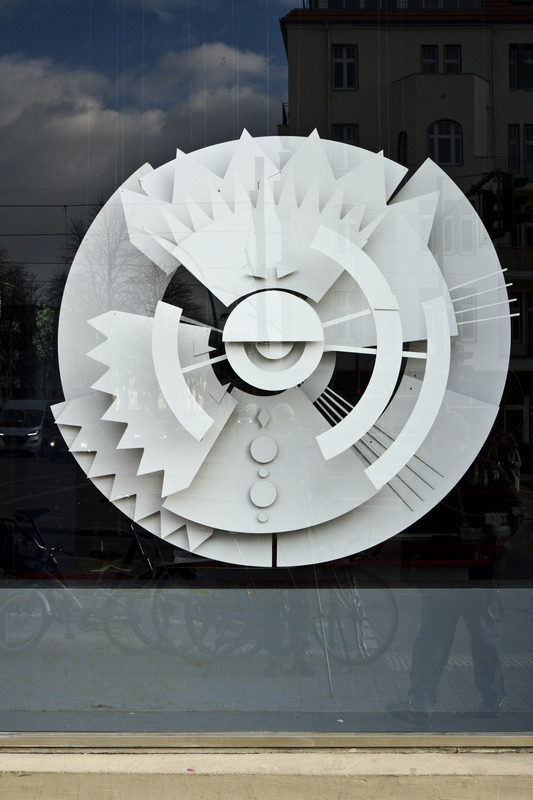 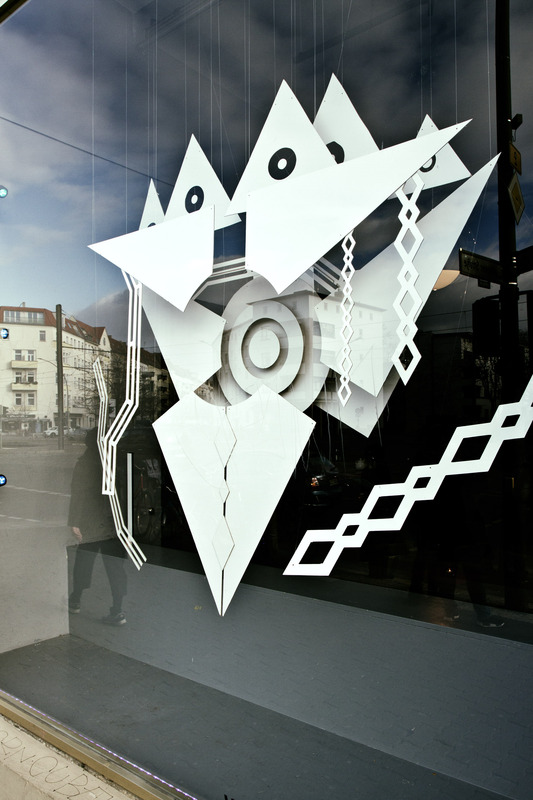 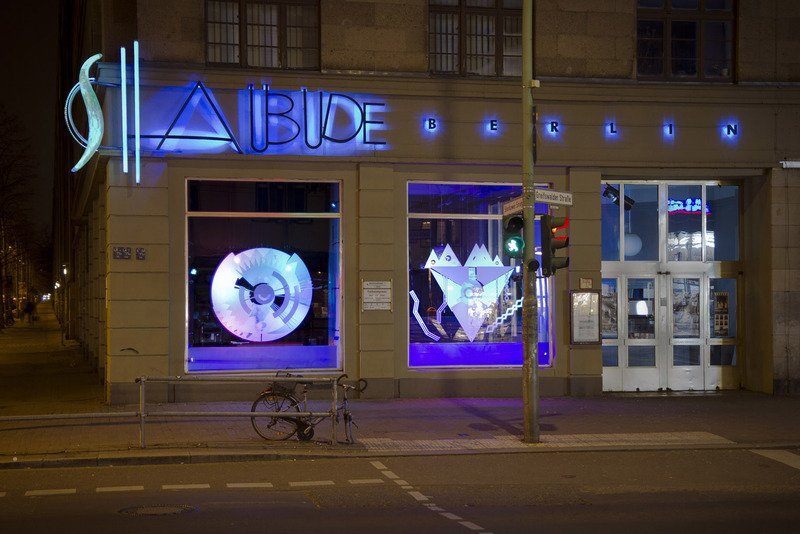 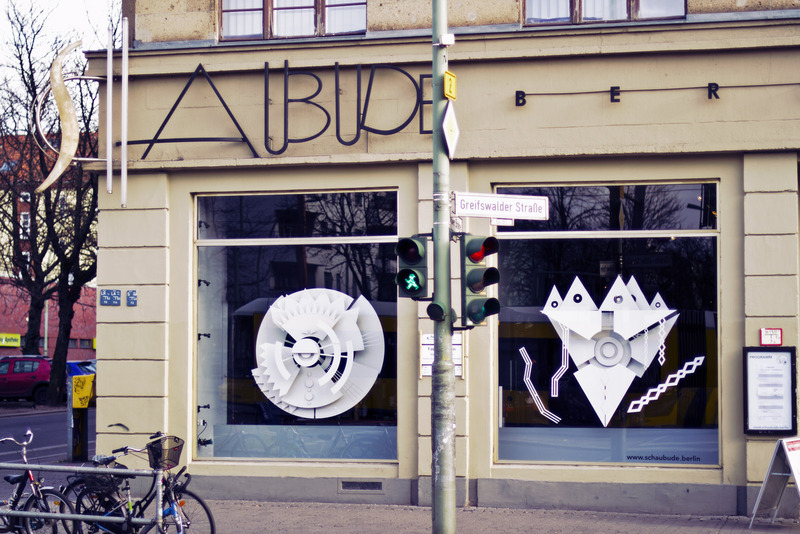 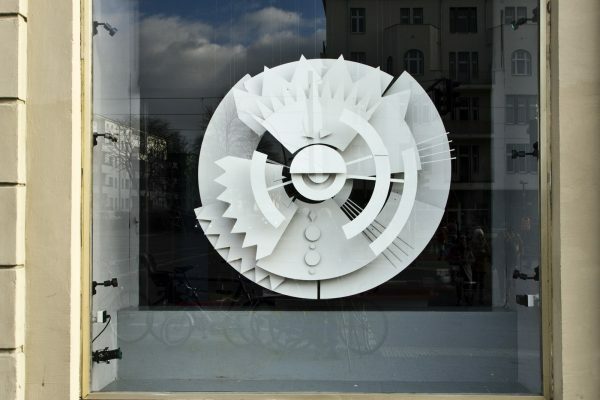 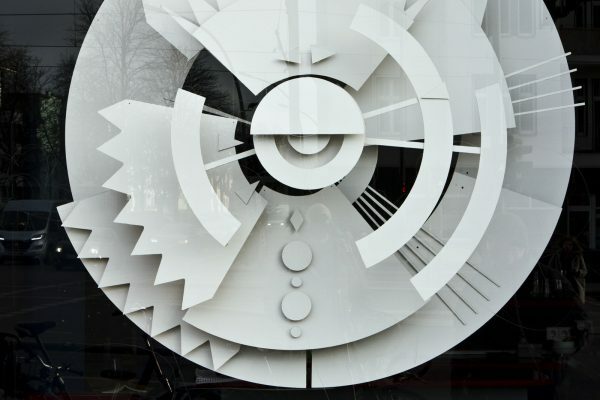 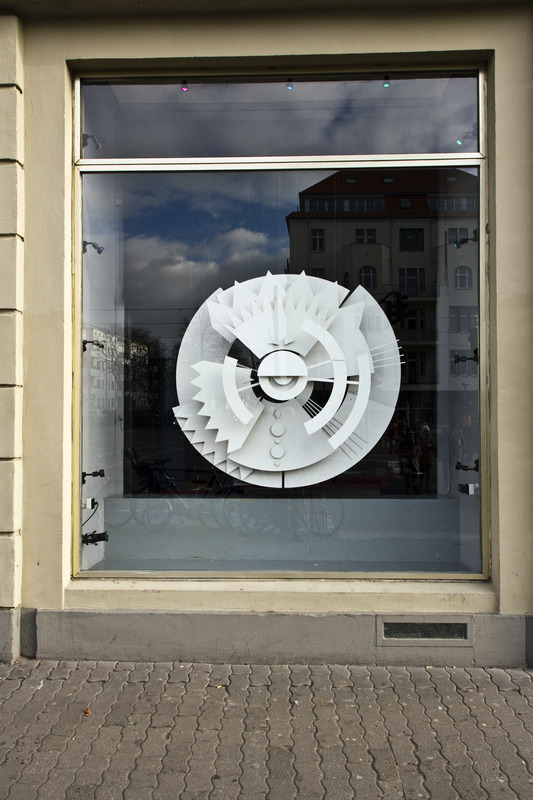 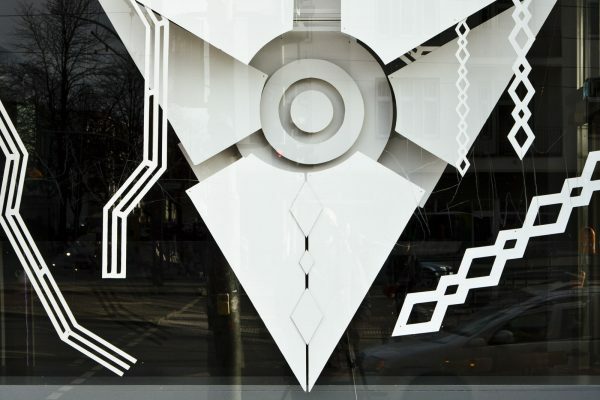 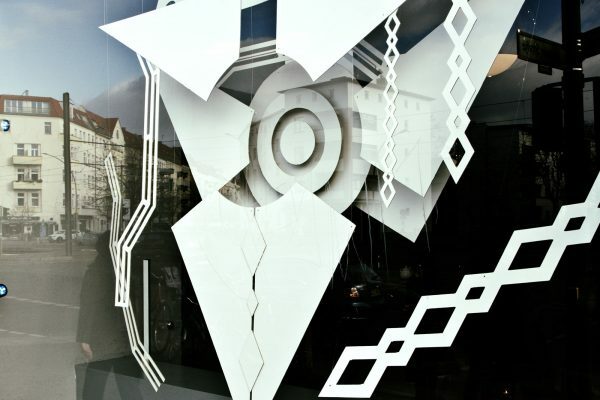 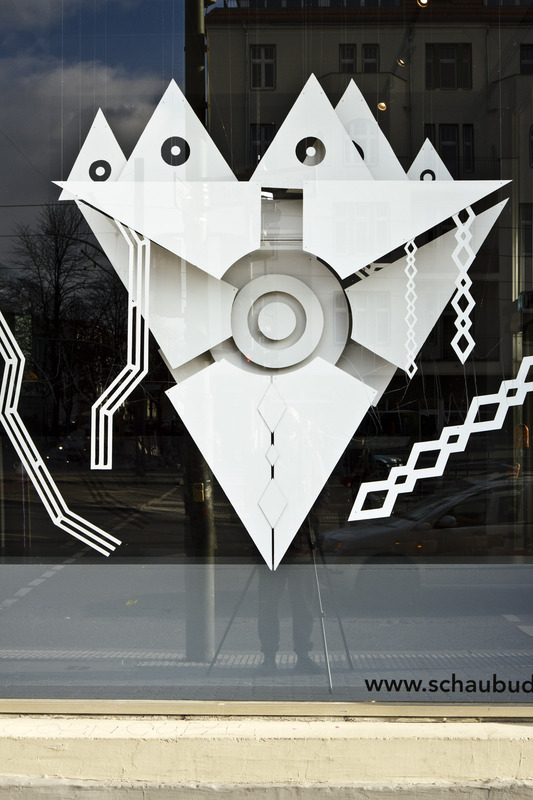 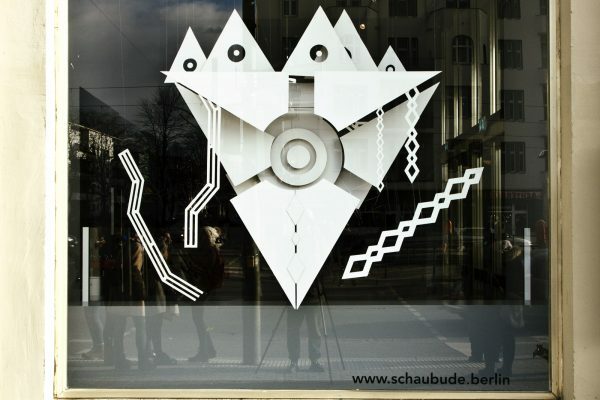 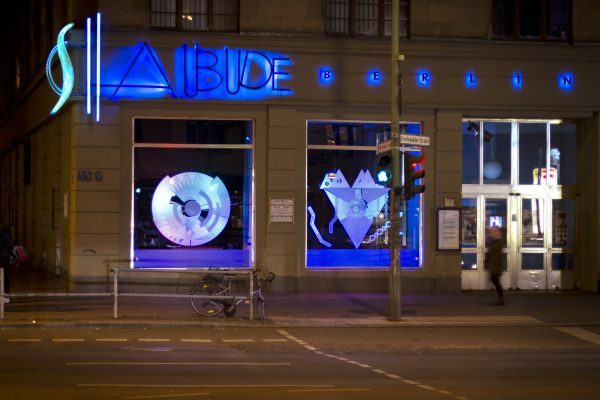 In conjunction with the festival “Wir sind die Zukunft”, the theatre Schaubude Berlin presents Zeitreise, it’s a new window exhibition, curated and created by BadaboomBerlin. 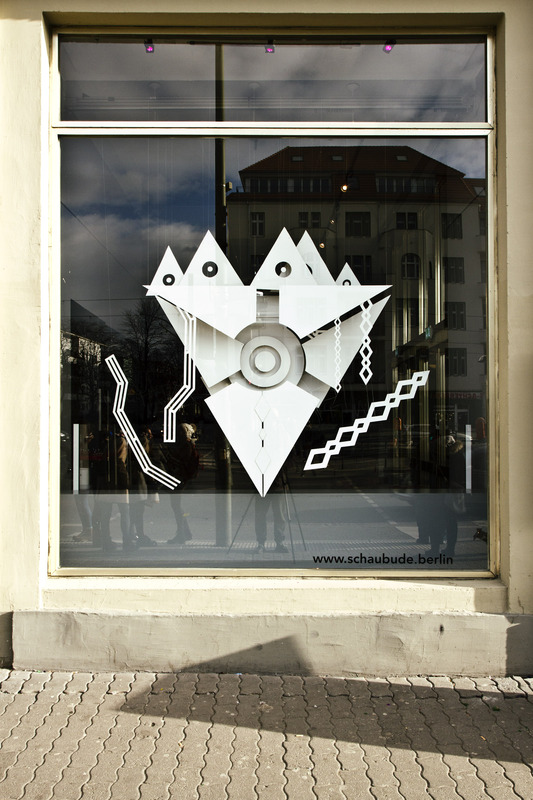 We are proud to present this work, that display a creative combination of analogue creation and digital design. 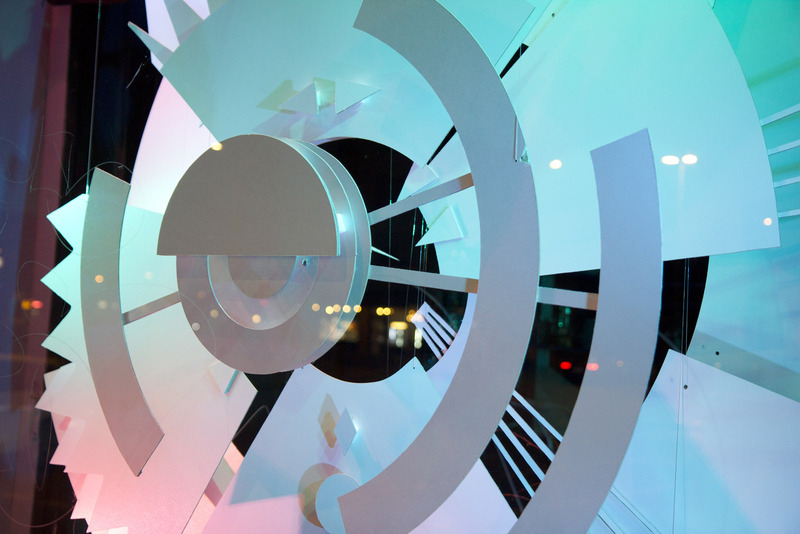 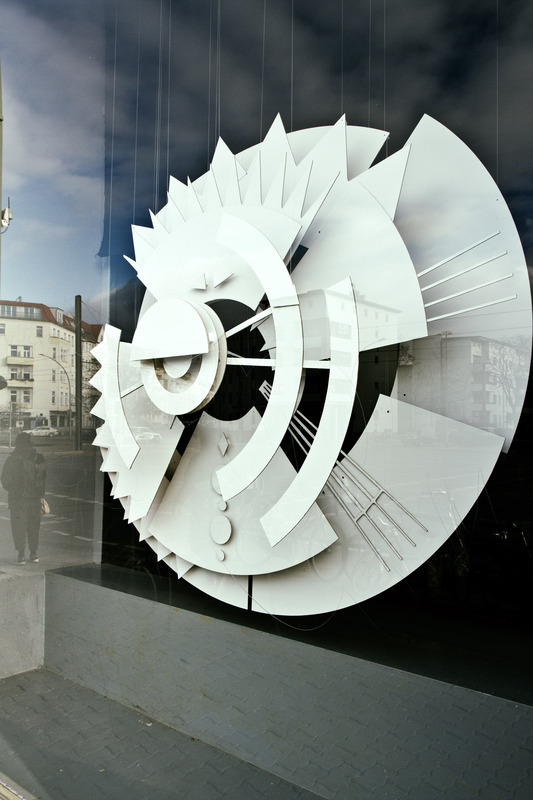 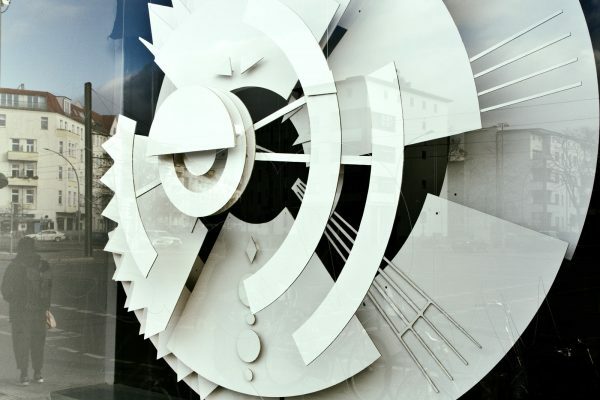 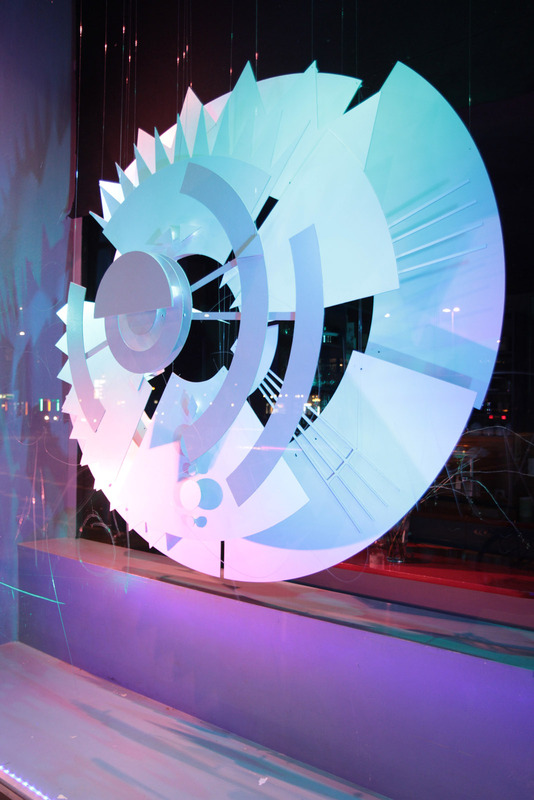 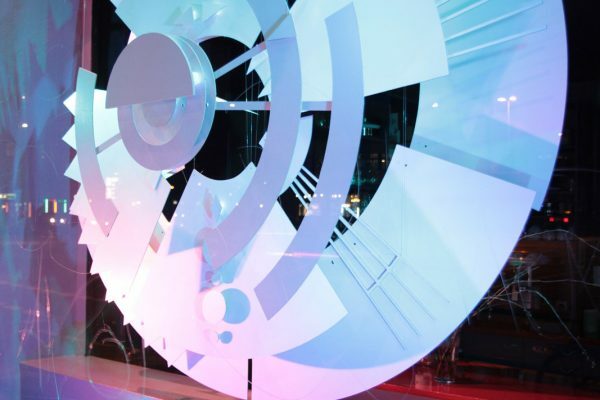 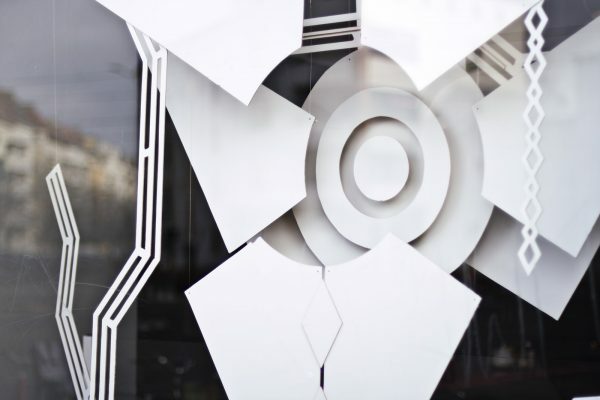 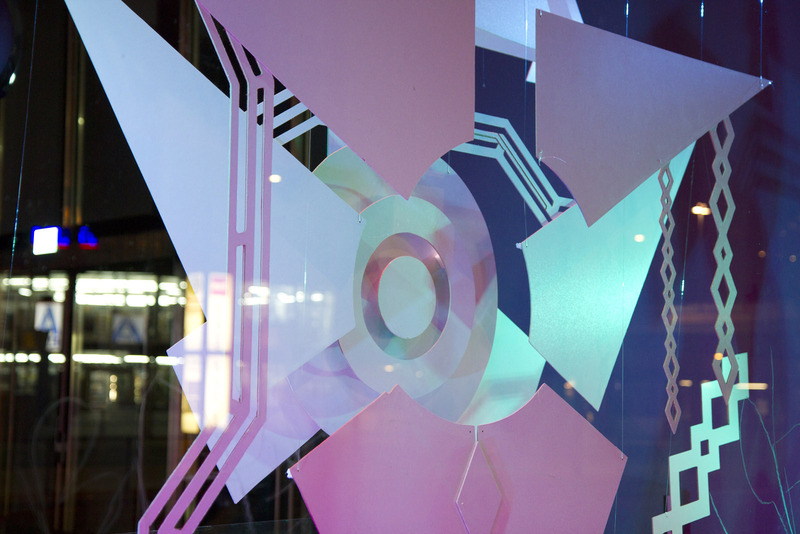 In addition, in the foyer of the theatre it’s possible to experience the interactive installation Zeitfenster by our partner Benjamin Hohnheiser. 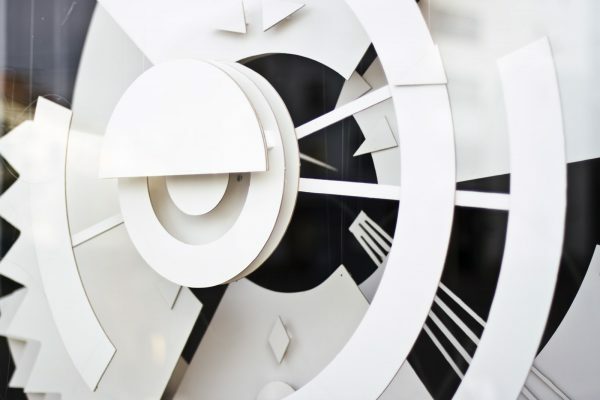 This artwork allows the visitors to take a trip back in time. 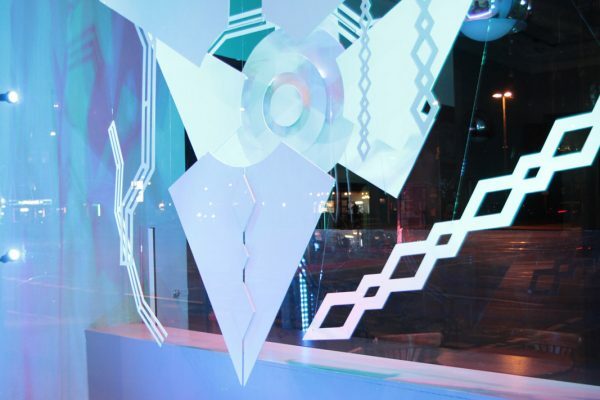 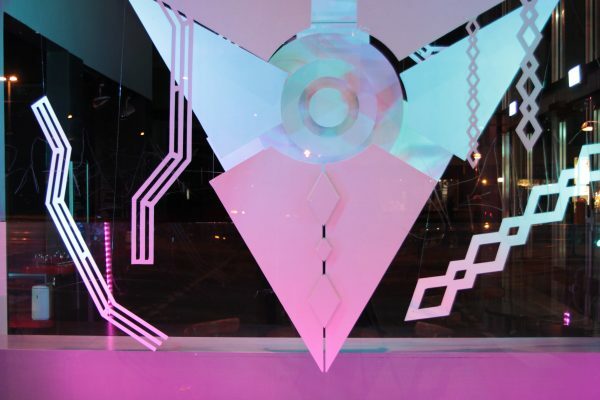 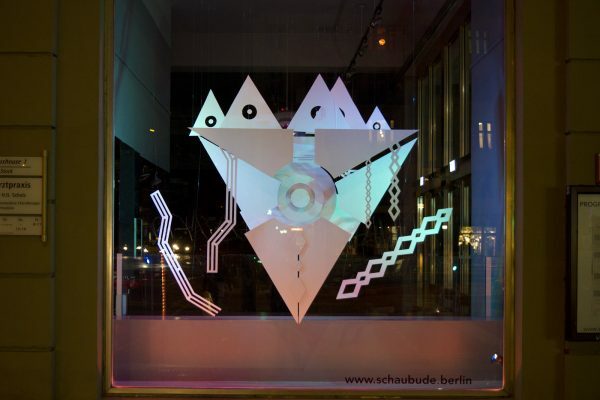 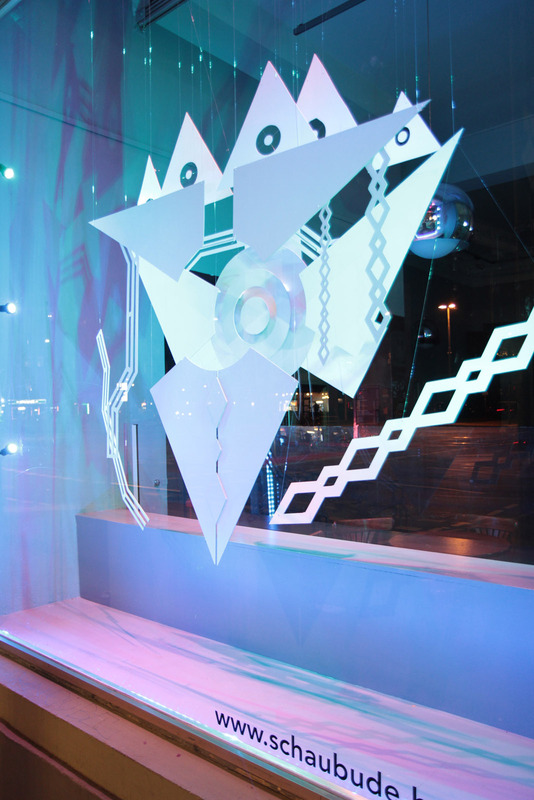 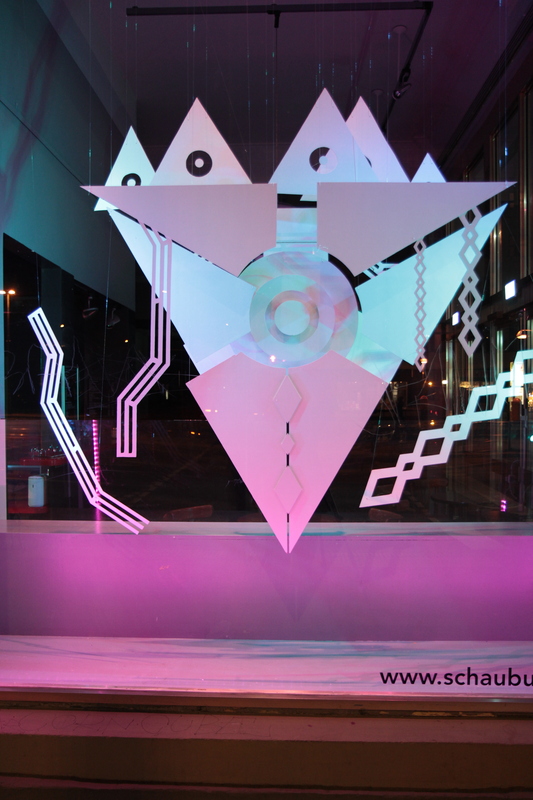 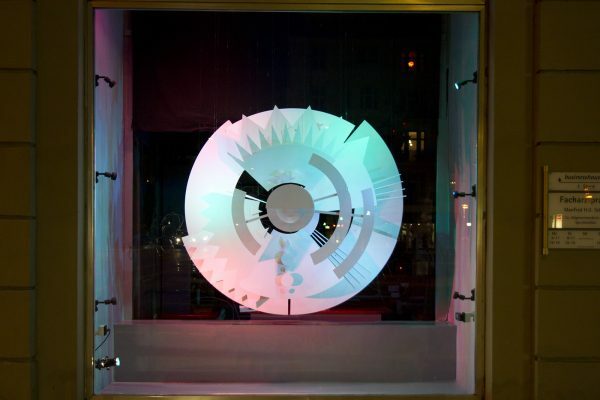 The window exhibition is visible day and night until the 3.09.2018. 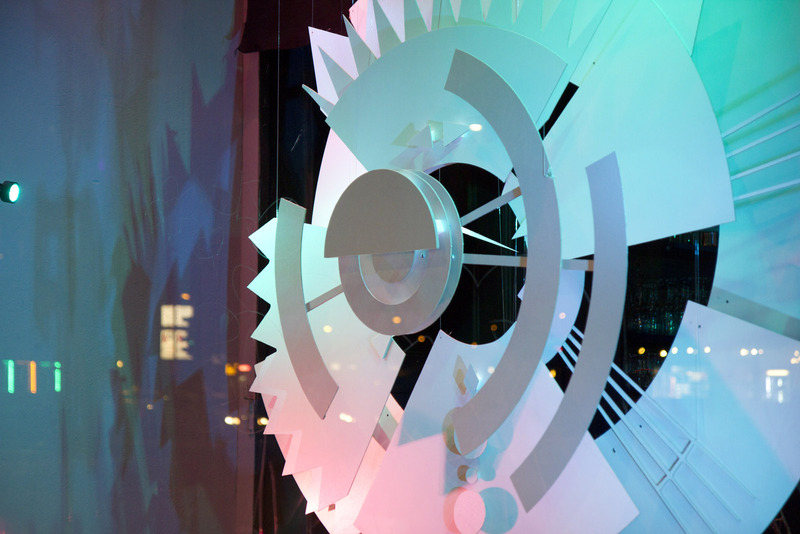 The foyer installation is visible in the theater opening hours.